In 1864, William Banting, a retired funeral director from London, published a free booklet titled Letter On Corpulence, Addressed To The Public, in which he wrote about how he dealt with the crippling effects of obesity. Banting lamented that he had to endure the “sneers and remarks of the cruel and injudicious”, faced difficulty climbing the stairs or bending over to tie his shoes. For three decades, he tried everything from “vapour baths and shampooing” to Turkish baths and exercise, but “the evil still increased, and, like the parasite of barnacles on a ship, if it did not destroy the structure, it obstructed its fair, comfortable progress in the path of life”. And then Banting met William Harvey, on whose prescribed diet he lost 52 pounds. The former funeral director found himself on a meat and fish-heavy diet—he gave up the “simple ailments” of bread, milk, butter, beer, sugar and potatoes, which he once consumed “more freely than (his) aged nature required”. He began his day with a tablespoon of cordial mixed into water in a wine glass (“a most grateful draught”), and then, except for the stray toast, “fruit out of a pudding” and a shot of gin or whisky, the diet eliminated sugar and carbohydrates almost entirely. Banting writes, “At the first blush it seemed to me that I had little left to live upon….” But he decided to give the plan a fair shot, and so effective was it that he self-published the booklet—the first two for free and the third for a price that met his printing cost. In the early 1920s, somewhere in Minnesota, Russell Morse Wilder (no acquaintance of Banting or his anti-carb propaganda) first discovered the effects of ketogenic therapy, a slightly different high-fat, low-carb diet, on epilepsy patients. This, he found, helped reduce seizures, until medication eventually replaced or supplemented it. It has been nearly a century since. But today, any celebrity worth their bacon-fat, almond-flour toast and avocados will tell you that Banting’s diet loosely resembles the immensely trendy ketogenic diet, and Dr Wilder’s findings have now gone from a crusade against seizures to one against type 2 diabetes, possibly cancer, cholesterol and dress sizes. 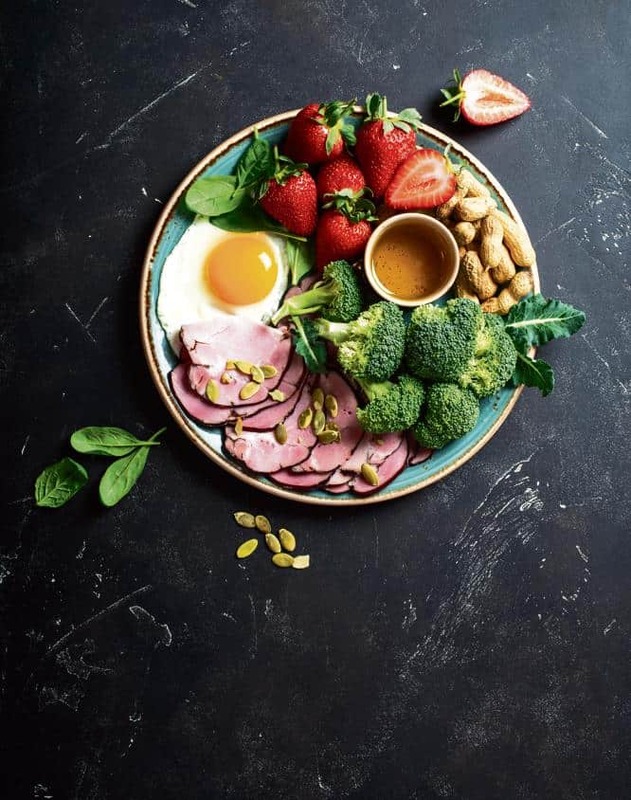 Predominantly a high-fat, medium-protein diet, keto allows foods like butter, oils, meats, cheese and eggs in abundance—unlike its predecessor Atkins, which also eliminates carbohydrates but is bigger on protein-rich foods. Dieters on keto can consume under 5g of carbs a day, usually in the form of low-carb vegetables such as cauliflower and leafy greens. This combination sends the body into a state known as ketosis, where fat is used as fuel instead of glucose from carbohydrates, and since protein can be broken down into glucose as well, its intake is also measured and restricted—the break-up is approximately 75% fat, 20% protein and 5% carbohydrates. It sounds too good to be true, and for some people it comes with side effects, especially in the initial weeks, when the body is transitioning into ketosis. A condition called the keto flu is common; typically with symptoms like headaches, nausea, bad breath and a newly discovered and vastly-refuted “keto crotch”, which translates to an odour in the namesake region of dieters. Nevertheless, the keto diet is exploding in popularity. In India, like in many other parts of the world, it has dedicated cafés, coaches, counters at departmental stores, apps, delivery and dabba services, and, perhaps most significantly, endorsements from celebrities such as Alia Bhat and Rhea Kapoor on Instagram. But these champions of the diet pale in comparison to a citation of Banting’s victorious little culinary memoir, which seems to be the benchmark for the popularity of fad diets. It was previously hailed as the origin of Atkins when the diet was all the rage, and has now been appropriated by the keto lobby. In the US, the ketogenic diet was the most searched diet on Google in 2018, and, in India, curious weight watchers trawled the internet and the diet’s popularity peaked on the search engine’s trend tracker between 10-16 March. For a country where diabetes is the proverbial barnacle on Banting’s ship, cutting out carbs and sugar has made keto a huge hit. And the cult is so grand that people actually identify as keto “evangelists”. But where there are evangelists, can critics be far behind? A meet-up of members of the Mumbai Ketoers at Smoke House Deli in the Bandra-Kurla Complex, Mumbai. On a typically busy day at her apartment in Delhi’s Khirki Extension, Roohan Singla, 34, bakes eight loaves of almond-flour bread, whips up pizzas made with a similar base loaded with mozzarella cheese and pepperoni, decadent keto-friendly cakes and rich cream-cheese cake cups with the keto-allowed sugar substitute erythritol and a layer of almond-flour crumble instead of the customary graham crackers. She runs KetoRoo Bakes, an experiment that started last year, when Singla herself was on the keto diet and wanted more than just chicken breast stuffed with cheese. Eventually, she quit her job in the internal communications team at the Max Bupa insurance company, filled up the Zomato form and decided to take up keto baking fulltime. “I thought I would be this elite baker who’s just sitting at home doing nothing, getting one order a day, but that’s not what happened,” she says, sitting in her apartment. Her deep freezer is filled to the brim with cold cuts and cream cheese, and Singla has had over 120 orders just this month, and the numbers and revenue are only growing. She swears by the diet. It has helped her go from 104kg to 90.6kg, her lowest in five years, all while eating the food she loves. She started on it after she was hospitalized owing to some form of gluten intolerance. The doctors termed it a lifestyle problem, which she believes was an inadequate prognosis. But then she found keto. “I was researching a lot of low-carb diets and I saw the word keto…and saw people’s testimonials,” she says. “And for an overweight person to find something interesting, like cheese and meat, and be able to lose weight on bacon, that was amazing in itself.” She created an Instagram account and posted before and after pictures along with pictures of the food she would eat through the day—this, she says, helped her stick to the diet. Mumbai-based lawyers Garima Mitra, 28, and Sahil Saini, 32, have a similar story. They started keto together after they got married. “You know how people say when you’re single you look your best, you’re putting in an effort into maintaining yourself. Suddenly, in 2016, we were married,” says Saini. “We were just having a lot of fun. Not caring so much about how we look and what we put into our bodies. It reached a point where our parents started complaining—saying that we should look into exercising and join a gym,” he adds. Eventually, Mitra hired a fitness coach who recommended the keto diet and the couple has been on and off it since 2016—during their first 12-week stint, Mitra lost 12kg and Saini, 13. 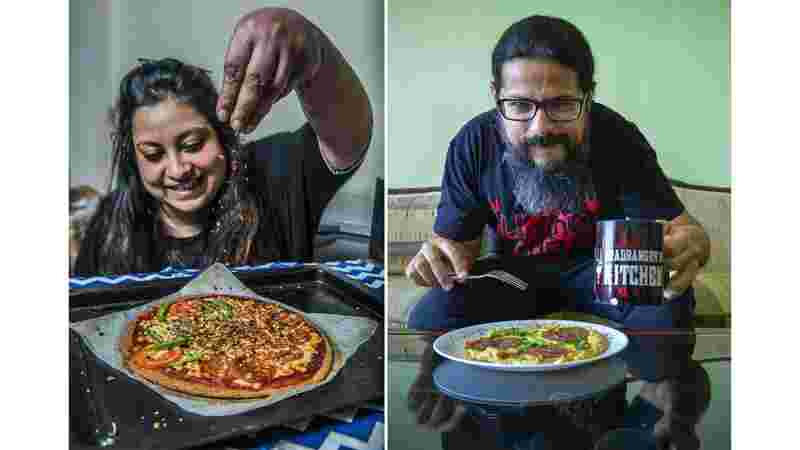 The couple is on an active WhatsApp group called Mumbai Ketoers, which has close to 150 members, who exchange recipes, Hasan Minhaj and Tiktok videos, pictures of their keto meals, restaurant recommendations and other unrelated memes and musings. But the ketogenic diet, inviting though it may seem, isn’t for the weak-willed who love their carbs (or their savings—it’s heavy on the fat, and the pocket). Others like Diksha Singhi, 24, managed to get through only a few weeks of the diet, until her already chronic migraine worsened. “I would get migraines and headaches because I wasn’t getting enough food,” she says. The keto flu manifests in various ways and to varying degrees among practitioners—Singla herself endures phases of sharp pains running from the tip of her fingers all the way to her shoulders through the initial stages when her body is transitioning into ketosis. She combats this by upping her water intake and salt consumption or popping muscle relaxants, if required. Roohan Singla; and Sahil Makhija. In September, the Indian Journal Of Medical Research (IJMR) published an editorial titled “Ketogenic Diets: Boon Or Bane?”, which begins by laying bare the prevalence and rapid rise of obesity over the last few decades, globally and in India—and its resultant problems, such as “type 2 diabetes, hypertension and cardiovascular disease, apart from osteoarthritis, sleep apnoea and even some forms of cancer”. “Use of ketogenic diets in weight management has gained tremendous popularity, but it has also generated several controversies,” it says. The article cites a study published in the Lancet Public Healthjournal, which showed that there existed a U-shaped relationship between carbohydrate intake and mortality. “Both extremely high (60% and above) and low carbohydrate diets (<30% carbs) were shown to have higher mortality rates. The risk of dying was lowest when the carbohydrate intake was between 50 and 55%,” says the study. “Mortality is the primary thing. You may be thin, but if you die then what’s the point?” says Mumbai-based clinical nutritionist Shilpa Joshi, who is one of the authors of the editorial. “You may be any shape or size, you may look any way, but you have to be alive!” she says over the phone. While she does not deny the effects the diet has on weight loss and diabetes, she points out that these benefits have only been revealed in short-term studies. “Short-term studies have shown there is improvement in glycaemia and certain cholesterols, the reason being the first enzyme in cholesterol synthesis is HDL reductase, which is regulated by insulin. However, long-term studies have not validated any of these results,” she says. But diabetics have found it to be effective. Keto helped Jyotsna Pattabiraman control pre-diabetes–when she returned from Silicon Valley to Bengaluru, she switched to the diet and says it brought her Hemoglobin A1C down the way medication could not. “My HbA1C was at 6.7, which is really high, and within three months of being on keto, it dropped to 5.4, which is a semi-normal range,” she says. In 2016, she started Grow Fit, an app and website, which provides low-carb and keto meal plans, and products such as almond flour, Ketogenic Coconut Flake Cereal and Almond Keto Dark Chocolate Bars, among other items. But a number of nutritionists and doctors caution against the diet, encouraging people instead to regulate their meals and consumption in a more sustainable way. 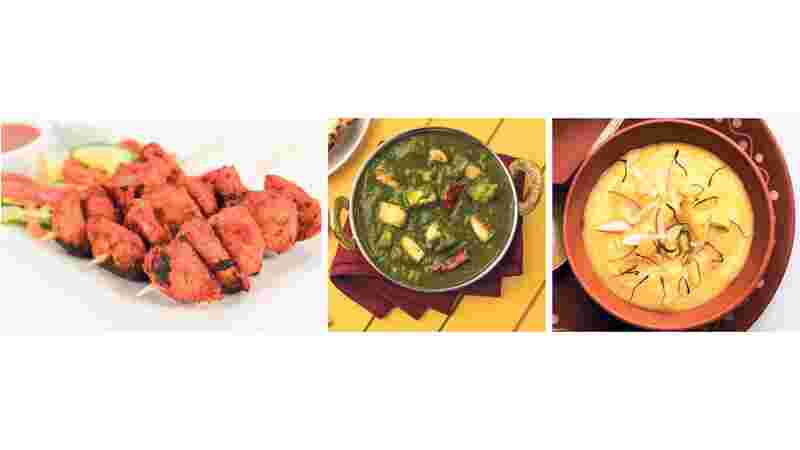 “Indian diets are very high in carbohydrates. A STARCH study has shown that Indians with or without diabetes consume at least 65% calories from carbohydrates. The Chennai Urban Rural Epidemiology Study (CURES) has also shown that carbohydrate constitutes the major source of calories in south India,” reads Joshi’s editorial in the IJMR. So giving up carbs entirely, especially for Indians, is a difficult lifestyle change and can come as a huge shock to the body. In the face of this potentially harmful deficit, those on keto are now turning to alternative sources of fibre—the expensive and, perhaps not as palatable, flax seeds and chia seeds are most often the primary replacement. And they make the switch because they are seeing results. Singla finds that her cholesterol is in check, she feels lighter and has less water retention when she follows the diet, aside from the added bonus of shedding close to 14kg in four months. Doctors, however, remain sceptical about the repercussions of oscillating between a traditionally high-carb Indian diet to a low-carb ketogenic routine. Hyderabad-based V. Mohan, who co-authored the IJMR paper with Joshi, finds that though many of his patients have tried the diet, the issue of sustainability renders it both ineffectual and potentially harmful. Mohan is a diabetologist, chairman and chief of diabetology at Dr Mohan’s Diabetes Specialities Centre, a WHO (World Health Organization) Collaborating Centre for Noncommunicable Diseases Prevention and Control. “The minute you start allowing the carbs, the reversal will start. Soon you’ll go back to 70% carb and regain all the weight,” he says. “This yo-yo effect and sudden change is not good for the body.” Instead, he recommends a diet which consists of 40% carbohydrates, 20% protein and the rest in polyunsaturated fats—such as groundnut oil, mustard oil, walnuts. “This decreases the bad LDL cholesterol and increase the good HDL cholesterol,” he adds. Studies on the long-term effects of the ketogenic diet are still under way—oncologist and Pulitzer Prize-winning author Siddhartha Mukherjee is studying the effect of the diet on patients with lymphoma and endometrial cancer at the Columbia University Medical Centre in New York. But he also warned on Twitter—“…folks, please do NOT switch to keto diets ALONE without the PI3 kinase inhibitor, or without medical supervision or evidence. In our paper, leukemia ACCELERATES with keto diet alone,” referencing a paper published in July in the Nature International Journal Of Science. PI3 Kinase Inhibitors are essentially drugs that inhibit the enzyme PI3 kinase, which regulates tumour-cellular growth. It produces a starvation-like effect on the tumour, but also acts on the liver—“which sensed the same starvation-like signal and, as a reflexive response, sent glucose soaring into the blood. The glucose, in turn, most likely incited insulin release in the pancreas,” Mukherjee wrote in The New York Times. So, it turned out, the drug by itself was creating the side effect of diabetes, therefore forming a vicious cycle, wherein it undid the effect of what the drug set out to achieve in the first place—starving the cancer. Enter keto, famous for its glowing effects in controlling type 2 diabetes and insulin levels. As Mukherjee and Lewis Cantley, director of the Sandra and Meyer Cancer Center at Weill Cornell Medicine, discovered at an Upper East Side restaurant over dinner one night, the drug could work together with the diet—“What if we cut off all extra insulin released, by putting patients on a low-carb, ketogenic diet while on the drug? It would be a novel kind of trial—one in which the diet itself would become a drug, or a co-drug, with the PI3 kinase inhibitors,” Mukherjee wrote. While Mukherjee’s study is under way, a definitive finding came from the responses to his tweet. He terms them “brisk, vicious, angry, suspicious and, at times, funny”. One person replied, asking, “Who is supporting you? Big Kale?” and others blamed him “for undermining the effectiveness of the ketogenic diet in cancer”. There’s no debate about the fact that those on the diet are passionate, sometimes to the point of being militant, about keto. They have read the research, the research that debunks the counter argument, and done their homework. Sahil Makhija, or Demonstealer, as he has called himself for close to 20 years, is the frontman of Mumbai’s oldest running death-metal band Demonic Resurrection, and runs a keto-cooking YouTube channel called Headbanger’s Kitchen, which presently has over 350,000 subscribers. He doesn’t identify as an evangelist but has confronted critics of the diet. So has Singla, who says “the worst part of being in the keto business is dealing with idiots”, referring to clients who hope for a miracle overnight while ordering her treats. “If someone says, oh, keto can give you a heart attack, I will at best show them some science to counter it, give them anecdotal evidence, and if they still believe it, I can’t force it on them,” Makhija says. “It’s like getting someone to understand that our country needs another party apart from BJP (Bharatiya Janata Party) to rule, but if you argue this with a bhakt… it’s like that. That’s how I like to treat it,” he adds. The constant (and very public) tug-of-war between the pro-keto and anti-keto campaigners will perhaps only be resolved once more studies reveal how the keto diet affects vitals and disease indicators over the course of time. For now, the popularity and business of keto are going strong. Low on carbs, high on revenue? A common complaint for those on the diet is that it tends to be expensive—“do it if you’re rich,” advises Singhi. The avocados, meat, carbohydrate and sugar substitutes like cauliflower rice, almond-flour bread and erythritol don’t come cheap, and home-cooked iterations can be tedious for those who don’t have the time. So as doctors question whether keto is a boon or bane, entrepreneurs and restaurateurs have capitalized on its popularity and priciness. 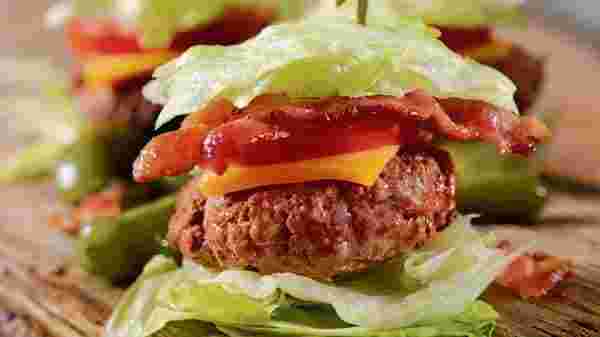 It is flourishing across the food industry and the increasing demand for keto products is being met with a steady supply. 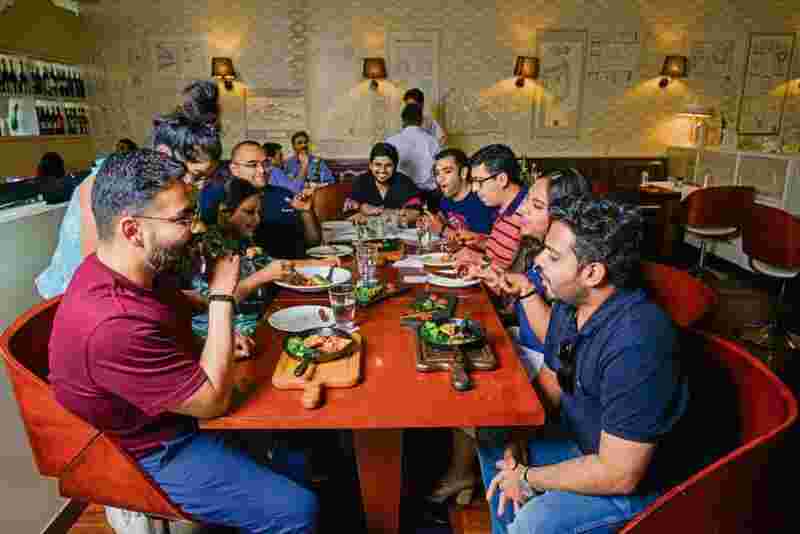 Trendy restaurants and cafés such as Bastian, Farmer’s Cafe and Le 15 Café in Mumbai, pan-Indian outposts of Smoke House Deli, among others, have introduced keto-friendly meals. Entrepreneurs are also cashing in to create delivery services like Food Darzee and Pattabiraman’s Grow Fit. And there is a rise in the number of keto coaches and bakers. Shimla-based keto coach Priya Dogra Aurora says she has customized Indian meals to the keto diet for over 2,000 people who have reached out to her from all over the world. Gourmet store chain Foodhall recently launched keto-friendly options—cakes, brownies, and breads. They also have keto bowls at their cafés. “We’re launching a new cupcake menu in April and we’re putting a new keto cupcake on the menu,” says Pooja Dhingra, head pastry chef and owner, Le 15 Patisserie and Café. “We did a blind tasting for 12 cupcake flavours and we just put numbers on all the cupcakes. So people who were eating it didn’t know it was a keto cupcake, they thought it was just a chocolate hazelnut cupcake and it performed so well—it was the top three that people liked.” Dhingra says the high-fat allowance ensures that the bakes are decadent—and the use of almond flour and sugar substitutes are the only variations in the recipe. So popular is the trend that lounge-chain Raasta has introduced a keto menu as well—options include a Keto Burger (two pork loin fillets with lamb patty and cheddar cheese) and a flourless cake, among others. Though it’s difficult to imagine knocking back shots of neat spirits without the absorbing superpowers of carbs, owner Goumtesh Singh sees the selection as a success, and he gets between 15-20 keto orders every week. Gautam Krishnakutty of The Smoke Co. in Bengaluru is not as convinced. Though he offers keto meals on Café Thulp, his online food venture, he says the business is steady but nothing exceptional. “I wouldn’t say it’s grown much, it’s grown marginally,” he says. “The keto menu is a high-cost menu so I don’t make much money on it. I can’t price myself out either. So our keto meals are somewhere between ₹350-400, but it doesn’t work on the same costing as the rest of my menu, which would be 25-30% cost, and keto is 40-45%. Still, entrepreneurs like Singla and Pattabiraman are putting all their eggs into the keto basket. While Singla quit her job to start KetoRoo Bakes and Pattabiraman left a cushy career at Silicon Valley to start Grow Fit, Makhija quit his job as artist manager at iconic music retailer Furtados in Mumbai to run Headbanger’s Kitchen full time. What started as an auxiliary project to promote the band—he would interview other metal musicians and cook recipes inspired by their band names or music—and serve as an outlet for his love for cooking and food, suddenly shot up in number of followers when he started the diet in 2016 and switched to keto recipes. “Before keto, I had 5,000 subscribers. The last one year alone has been a jump of 180,000,” he says. It’s an easy set-up, using his camera phone to shoot videos of himself making keto dishes, vlogs on his keto journey and other information related to the diet. Keto coach Priya Dogra Aurora helps Indians across the world create keto-friendly meals at home. From everyday vegetables to non-vegetarian and dessert options, the diet, contrary to popular belief, can be adapted to local kitchens without carb-staples such as roti and rice, keeping in mind the macros (carbs, protein, fat) dieters consume in a day. She warns against using tomatoes and onions, or, at the very least, apportioning their use to ensure the percentage of allowed carbohydrates is met, but not exceeded. Here are six recommended dishes, simple to whip up and easy on the pocket.